Random Observation/Comment #164: The German railway system essentially depends heavily on an individual’s choice of taking risks. Tickets are purchased in the stations, but the common high security gates, turnstiles, or even railway information centers do not exist. Everything has been automated on those ticket machines like in the LIRR, except conductors, or any other type of transportation officer, does not always check the ticket. In fact, the three weeks I’ve been staying in Germany and taking the subway system, I have not been checked once. After asking some locals, it seems like there are just random checks where some undercover officer in civilian clothes just asks an entire train car for the tickets. If you do not have one, then you must pay a fine of 40EUR immediately or 70EUR by mail. 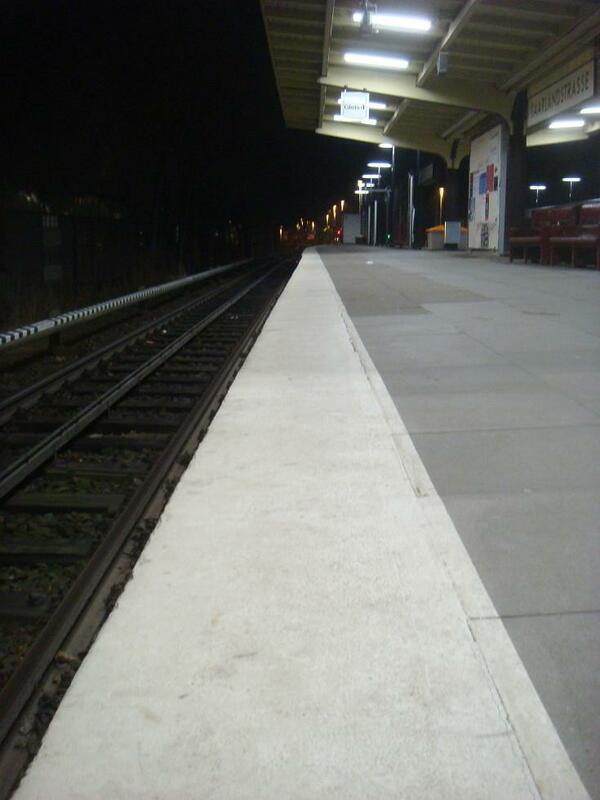 It is highly frowned upon to jump trains, but I think a large portion of the population does it. Do you think it’s worth the gamble? Like I mentioned earlier, I have not been checked, so I have no idea how these people dress. Without the need for hourly employees, it seems like the maintenance for this transportation idea is minimal. This means that less money is required to keep the trains running, which justifies the lower profit from daily usage. Interesting business model, no? The combination of the S-bahn (over-ground train) and U-bahn (underground train) forms a fairly simple transportation system. Everything seems to be low-cost and self-sustaining with minimal reliance on the fares. This makes me wonder about when this company started and where they make their profits. If the company is government run, I would expect a more thorough wringing-cycle of the shirts on our backs (that analogy describes the government squeezing every last penny for profit from our oranges (which is analogy for “the man always breaking our balls”)). If this is a private company, I wonder which numbers the accountant used when calculating the time required before a profit is being made after taking into account the expenses in the extra turnstiles and daily employees. Perhaps, it is only the large companies in America that pessimistically (or realistically) predict inflation and are encouraged by the government to increase the job market. Germany is a relatively young nation as a consequence to the wars leading to a drastic change in government. Given this more forward thinking and an overall greater trust in human nature, I feel more confident that our world is leaning towards a world that is less dependent on the economy. Of course we’re always going to be stuck in this vicious cycle of working long hours to pay-off our endless debt, but maybe the world will be more readily automated to explore a different purpose (I think my opinion might be directly affected by the zeitgeistmovement). As I traveled these trains with many other study-abroad students attending Hamburg, I have noticed a few differences in train etiquette. Young travelers are loud and just plain obnoxious. It cannot be helped in some drunken rage, but I often see other Germans with a look of embarrassment and dismissal. I don’t suspect a dead-silent train ride, similar to the normal Underground, because of the seating arrangements, but I still feel a much less energetic crowd despite the design intentions. On another note, the system saves money by only opening doors when the special button is pushed. If you remember the entry about The Underground/Tube in London, these buttons are not just tourist traps to make you look silly. I think you would look even sillier just waiting for the door to open and then missing your stop because the flashing green light or manual door does not aid with any Force powers. 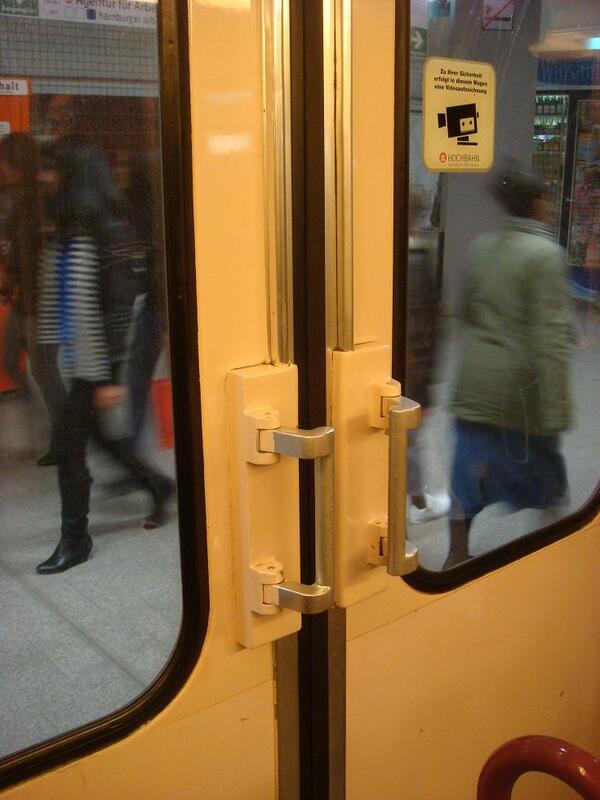 There’s no doubt that these trains use much less energy for opening doors at least 60% less (I actually don’t know but I’m guessing), but would this actually justify building the buttons on every door? These are questions I don’t know the answer to, but I know It definitely makes people much more aware of the stations and it’s also really fun to push buttons. Yay, Buttons. I have no idea how to use the ticket machines. 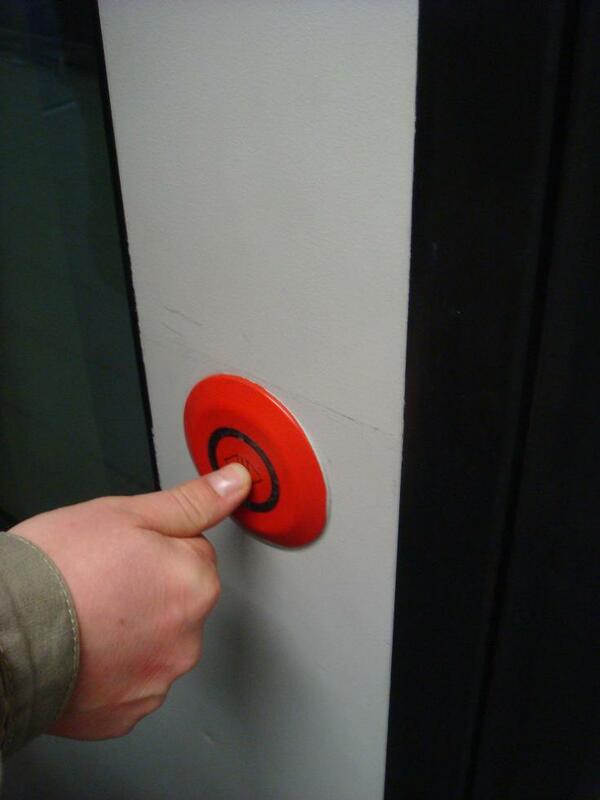 I pushed the button even if I didn't need to get off. Bad etiquette. I know – I’ll just walk everywhere! 2 Responses to "German Transportation is all about Trust"
Is it trust or fear? Last thing mom dad and I need is Clemens in a “work camp” with “showers”.